Located in Baltimore, Maryland, Morgan State University offers undergraduate and graduate degrees in business, engineering, education, architecture, hospitality management, social work and more. While Morgan State is a historically black institution, it now serves students of all racial and ethnic backgrounds. 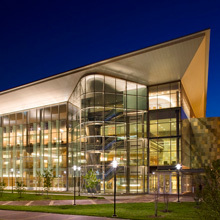 With a current enrollment of nearly 7,000 students, the University aims to empower and prepare “high-quality, diverse graduates to lead the world.” To support the scholarly research of both students and faculty, the institution’s Earl S. Richardson Library maintains an impressive collection of 400,000 books, 1,900 periodicals and serials, and more than 100 databases. In 2014, in response to a growing need for mobile-friendly resources, the Richardson Library began a subscription to Flipster®, EBSCO’s online digital magazine solution. After initially subscribing to only a handful of titles, the Library now offers digital access to 28 magazines including Forbes, Bloomberg Business Week, Time, iPhone Life, Organic Gardening, The Atlantic and The Stanford Social Innovation Review. Since the initial launch, students and faculty members have been reading magazines on Flipster not only for leisure, but also to stay abreast of the latest news and developments in their fields. With the addition of five new online programs this fall, library leaders expect to see an increase in magazine use as many faculty members are already planning to assign class readings that require access to Flipster. According to Michelle Hammond, Associate Director of Public Services, the Library has long provided a designated space where students can unwind from their academic studies by reading for pleasure. For many years, this “respite” area was stocked with physical copies of journals, magazines and newspapers. Over the last four years, however, as more and more students have begun to access information on their mobile devices, use of the Library’s physical reading materials has waned. Although she knew of other digital magazine vendors, Hammond felt that Flipster was the most intuitive product on the market. Those materials include a number of “must-have” business magazines such as Forbes and Bloomberg Businessweek ― titles that will prove beneficial to students and faculty when Morgan State University launches an online MBA program this fall. In addition, Hammond said, many of the peer-reviewed journals will assist in curriculum development. Just as Flipster makes it easy for patrons to browse among a variety of magazines, EBSCOhost Collection Manager (ECM) makes it easy for Hammond to manage the Library’s Flipster subscriptions. Morgan State University implemented Flipster during the 2014-2015 academic year. Currently, a carousel of featured magazines scrolls across the bottom of the library home page. Students can also access Flipster via the website’s “Resources” tab. “The easier it is to get to, the more likely they are to engage with it more frequently,” Hammond said. While a formal launch and marketing campaign is not planned until Fall 2016, Hammond and her colleagues have begun promoting Flipster to patrons by word of mouth and on social media. In addition, the Library installed a touch-screen computer on the first floor next to the circulation desk. Students can come in and flip through magazines at their leisure. Faculty members are already planning ways to bring Flipster magazine content into their classrooms. They’re also doing their part to get the word out. Evan Richardson, Assistant to the Dean of Architecture and Planning, is actively promoting Flipster in the School's newsletters and social media sites. 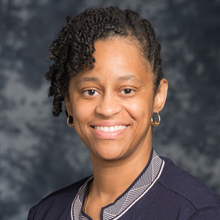 Pia Jordan, a professor in the School of Global Journalism and Communication, said she plans to work with students to produce a news story about Flipster to be featured on BearTV, the campus television channel. “I was so intrigued with the possibilities,” Jordan said. “We plan to [look at] ways students and faculty can use this new tool." Hammond said that although digital services are now a natural expectation for library users, they are still excited about the arrival of Flipster. “It has that ‘cool’ factor,” she said.